Lillian Too's Master Consultants Course is held once a year. It is an advanced course specially designed for those with a good working knowledge of feng shui who want to take their practice of the subject deeper. 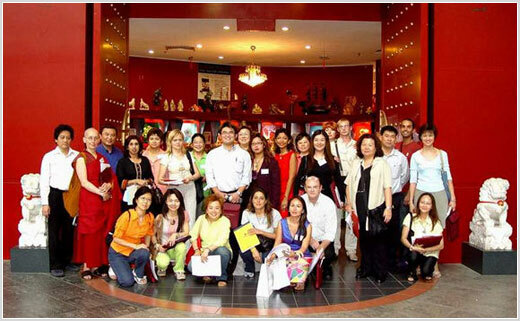 The recent graduating class of July 2005 comprised participants from 26 different countries, who aspire to practice feng shui as a professional consultant or expand their own knowledge so they can use it in their own homes more effectively. 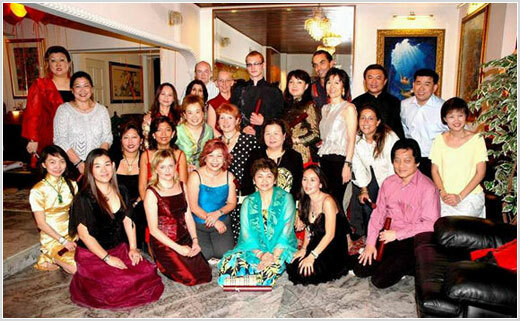 All students of this course were graduates of Lillian Too's Master Practitioners Courses (MPC). The Course is an extensive weeklong program, which concentrates on the application and practical difficulties encountered in using, combining and differentiating the different formulas of feng shui. Real life case studies, onsite visits and intense practical work with the Luo Pan, are all part of the Course. In this recent MCC the case study analyzed the feng shui of a popular local shopping mall and a newly built office building. By the end of the course, students had gained magnificently in confidence. In addition all also have a working knowledge of Paht Chee, the four pillars of destiny analysis which will help them in their diagnostic and predictive work. The onsite case study of a commercial building was a step up from investigating a residence (which formed part of the exercise of the MPC course). Says one student, "There are so many factors to consider when looking at the feng shui of a big commercial building like a mall, but the case study was really excellent in cementing the knowledge we learned in the class sessions." For the case study, students competed in pairs for the class prize. A written report as well as a vigorous interview was required of those participating in the competition. The winning pair comprised Marites Allen from the Philippines and Janet Yung from Singapore. (For those of you who want to see their report and what they recommended, turn to our analysis of MidValley shopping mall. Runner-ups for the case study prize went to Amy Lee and Sherley Lim. The site visit created enthusiasm among students. One said, "the site visit gave me a motivating challenge where I never expected to do so much on the first day. The activity really opened my eyes to the nuances of feng shui." Another said, "The case study helped me fine-tune my knowledge and practical skill. I really enjoyed the informative interaction with other students." The course culminated in a 3-hour written exam paper at the end of the week. Only those who successfully passed were awarded the Certificates of Practice from Lillian Too's Institute of Feng Shui. While the exam was run as an open book exam, where notes and reference materials were allowed, the 3-hour time constraint meant that students who had all the knowledge at their fingertips fared best. Graduation night was when exam results were announced. Of 26 students, 3 achieved distinctions and 5 passed with credit. Special congratulations go to Janet Yung of Singapore, who came top of the class with 91.7%. Second went to Sherley Lim of UK with 84%, while third went to Liza Nordin of USA with 83.5%. Participants showed good-looking smiles as photos were taken in Lillian Too's beautiful home. It was a night to remember indeed. Wishfulfilling balloons were later released into the clear night skies with everyone's wishes written on. Photos below show Lillian Too's top students, Janet from Singapore, Sherley from the UK and Liza from Hawaii.